In the words of Mother Teresa, "We have forgotten that we belong to each other." This lapse in memory has caused deep fractures and allowed fear, hatred, and division to infect our lives together. We've become disconnected from each other and from our very selves. 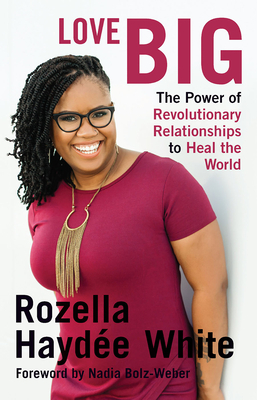 In Love Big, leadership coach Rozella Hayd'e White introduces readers to the power of revolutionary relationships. Modeled after the image of God as a lover, these relationships can heal the brokenness of our lives by crossing over the dividing lines of race, gender, religion, orientation, ability, identity, and class to provide relief and inspiration. Revolutionary relationships will usher us into a reality marked by love, connection, and a belief in abundance. Revolutionary relationships lead us to love big--to love despite hardships and fear; to love in the face of despair; to love ourselves and others deeply and passionately; to love in ways that change us all.